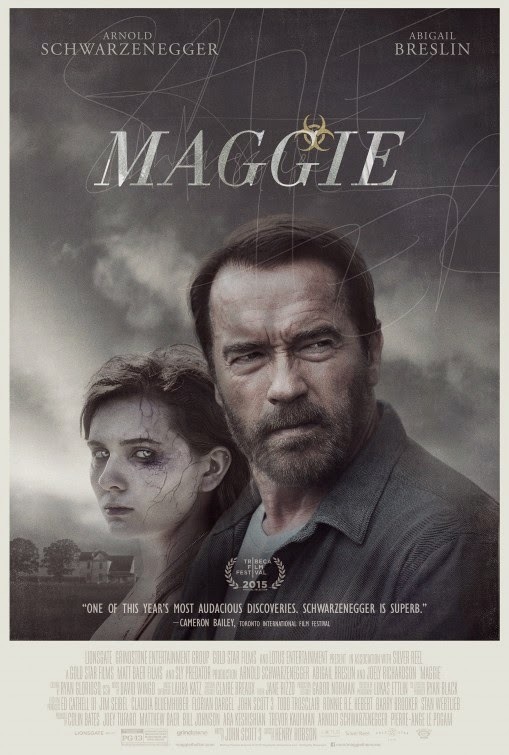 The trailer for Maggie promised a rare dramatic turn from Arnold Schwarzenegger (one I have no doubt he'll absolutely nail), and a very different type of zombie movie from first time feature director Henry Hobson. 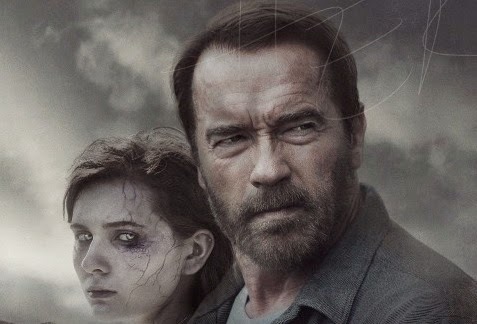 That is hammered home with a sombre, and absolutely beautiful, new poster, which doesn't play up Abigail Breslin's transformation into a shambling brain eater, instead focusing on her and Arnie's father/daughter relationship. The current glut of zombies in the media is something that is seriously boring me, but the much different take on the undead apocalypse Maggie promises makes this one zombie movie I'm very much looking forward to. Maggie hits American shores for a limited engagement on May 8th. No word yet on when it will hit this side of the pond, but hopefully we won't be kept waiting too long.